Mark Schulman retired as President of Presidio Graduate School in San Francisco in 2017, where his first major initiative was to acquire Pinchot University and start a Seattle campus. Prior presidencies include: Saybrook University in San Francisco from 2010 to 2016, Goddard College in Plainfield, Vermont, from 2003 to 2010, where he led the successful turn-around of the institution, and Antioch University Southern California. Other administrative and faculty appointments include: Academic Dean/Vice President, Dean of the College, and Professor at Pacific Oaks College; Chairperson, Communication Department/Director, Graduate Media Studies/Lead Faculty, Distance Learning/ Distinguished Lecturer in Communications at the New School for Social Research; Chairperson/Deputy Chairperson, Communications, Film and Video Department, and Associate Professor at City College of New York. 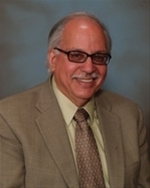 Dr. Schulman’s extensive academic experience also includes positions at Saint Mary’s College of California, Antioch College, and Mount Vernon College. He has extensive background in communications and education consulting and higher education administration. Dr. Schulman’s work has been published in a number of reports, journals and texts relevant to his areas of interest. He has made numerous presentations and lectures. He served as the President of the Vermont Higher Education Council in 2006-2007; on the Executive Committee of the Association of Vermont Independent Colleges from 2005 to 2010; and on the Board of Directors of Vermont Businesses for Social Responsibility from 2005 to 2010. Dr. Schulman received his Doctor of Philosophy in Communications from The Union Institute and University.